I remember your previous post ! > were amazing. If you were on decades ago it may bring back memories. > controller project and decided it was time to try and make a contact. FO-29 but forget for ever please the single channel FM satellites. > Thought I had better log the contacts and started looking for a logbook. 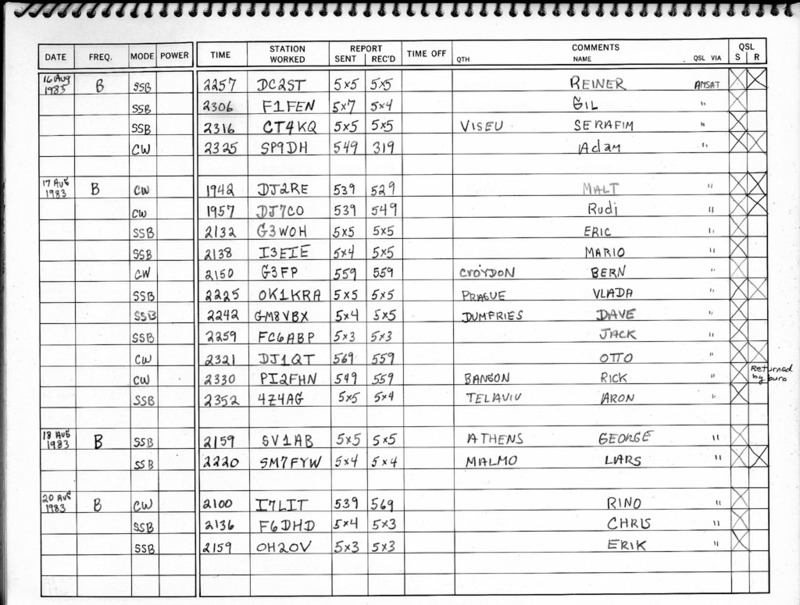 > Found a old slightly yellowed logbook with Oscar-10 written on the cover. > for the exciting part. that old amazing days I was active on OSCAR-10 every days except in august. > not I had pile ups of europeans  wanting to work Wisconsin of all things. of single channel FM satellites are good for nothing. will find me as well. the Ham satellite community all over the world. If you can please subscribe to AMSAT-DL and ................Pull for P3-E !